Senara’s Medical Spa treatments help you look and feel your best. 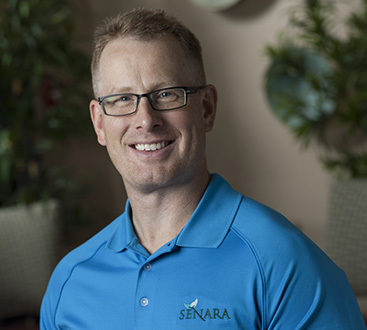 From our traditional Day Spa treatments to our cosmetic injectables, Nutritional IV Therapy, and beyond, Senara offers everything you need to be your best self. Need to relax and get away from the daily grind? Our day spa services offer massage therapy, skin care treatments, manicures and pedicures just for men. Our licensed spa technicians will help you feel refreshed and relaxed. Our 5-star accommodated day spa facility and welcoming staff will keep you feeling like a VIP treatment from check-in to check-out. Sculpt your body with FDA-Approved, non-invasive CoolScupting®. The CoolSculpting procedure is the world’s #1 non-invasive fat-reduction procedure. It’s an innovative way to contour your body by freezing unwanted fat away with no surgery and little to no downtime. Results are permanent, too. Once the fat is gone, it’s gone for good. Can’t get rid of those extra fat bulges, no matter how much you exercise? The CoolSculpting procedure could be the answer you’re looking for. It’s about looking as good as you feel. Medical Aesthetic treatments at Senara Men’s Spa offer you a more youthful appearance… without looking like you’ve had any work done. From Botox®, to Laser Skin Resurfacing and non-invasive facelift therapies, you’ll look boardroom ready every day. Our team of expert medical aesthetic practitioners and technicians can help you achieve an improved appearance that’s natural looking. Treatments are non- or minimally- invasive, and require little to no downtime. To request an appointment or consultation for any of our Medical Spa Treatments, please contact us at (309) 245-1995 or fill out the form below. Appointment requests are typically responded to within 24-48 business hours.